Stop chasing your clients for receipts and invoices. Clients send you their invoices and receipts by taking a photo of the item, forwarding them to their unique Receipt Stash email or by uploading via desktop. Relevant information is automatically extracted and stored with the item file, so you can say goodbye to the manual data entry process. Create your own rules to automatically populate receipt and invoice items with data such as nominal codes, tax rates and more. Publish your client's expense data to their integrated cloud accounting platform in a number of different formats. See results within seconds. 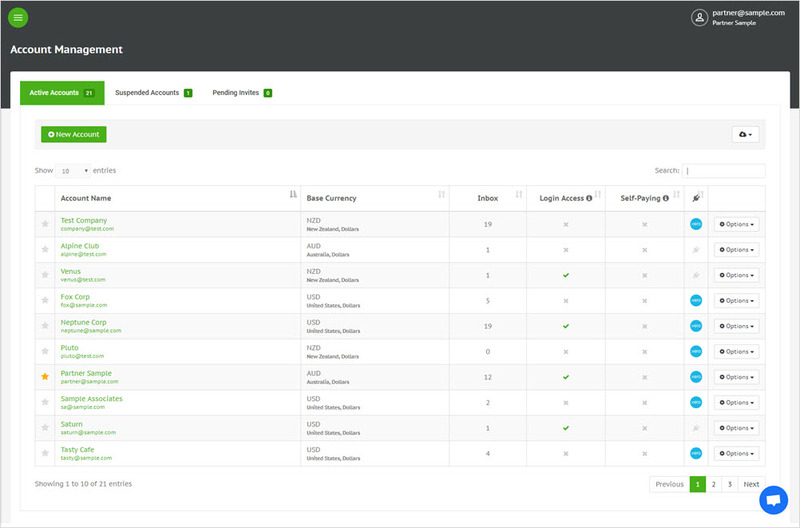 With the Receipt Stash Partner Portal you can easily manage all your clients from a single, easy to use dashboard. Stop chasing your clients for their invoices and receipts. With our seamless submission methods, all the information you require can flow through to your partner portal with the push of a button. As a partner, your practice will be listed in our directory for new clients to find you. Our partner portal provides you with user-friendly dashboards and reports, giving you a complete overview and key metrics of your client expenses. As a Receipt Stash partner, you will be listed in our accountants and bookkeepers directory for our users to view. Let new business come to you. Boost productivity and stop chasing your clients for receipt data. With our multiple forms of easy receipt submission, getting the right information is a breeze. Thanks for your enquiry. We have received your message and will be in touch as soon as possible. Something went wrong and your message wasn't sent, please try again. © 2019 Receipt Stash - All Rights Reserved.